Well, we've made it to the end, folks! 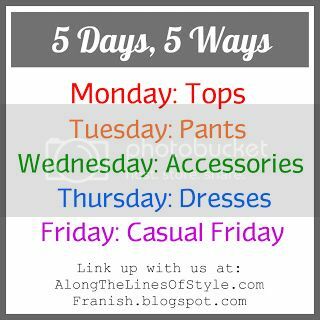 If you've kept up with me all week for the 5 Days, 5 Ways link up - thank you! Be sure to check in with Franziska's and Whitney's blogs since they are the co-hosts of this awesome link up. While you're there, sift through some of the other bloggers like me who have chosen to link up. So many inspiring ideas out there! We are finishing out this week with a "Casual Friday" theme. Because my office is pretty laid back, I have the luxury of making any day of the week a casual Friday, so I wasn't sure what I wanted to feature. Plus, I was really enjoying seeing one piece repurposed in 5 different ways. Therefore, I decided to go ahead and tie my Casual Friday theme down to one simple thing - the REROCK SKINNY EMBELLISHED ROLLED CUFF JEAN from Express. 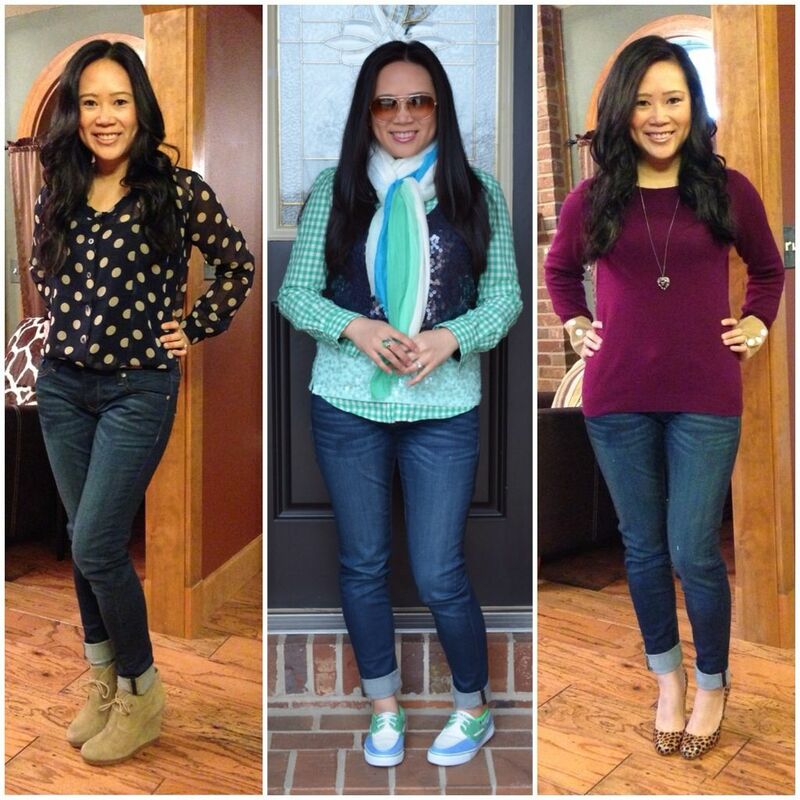 I mentioned earlier in the week that it's funny to see trends in my outfits. 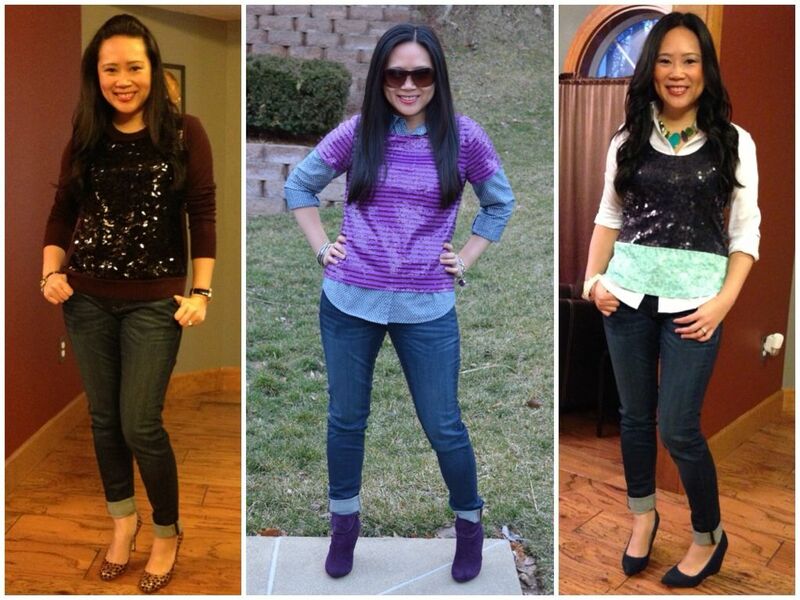 Apparently, I really like to wear sequins with these jeans. I don't know if it's the embellished pockets that are brainwashing me to do this, but I had to laugh when I saw these photos next to each other. I mean, sequins are awesome, what can I say? I'm also linking up with Amy at Coffee Beans and Bobby Pins because it is Friday after all! 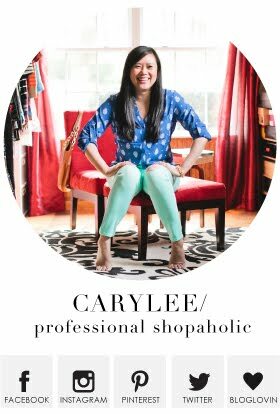 Today she's featuring my blog in her Friday Five, which gives me the biggest happy because she's one of my favorites! Click below to check it all out, and link up, too, while you're there! What pretty look! The 2nd and 4th are my favorites. Thank you!! #2 is my fave as well! Ooh I really like that color-blocked sequin top! The purple sweater is very pretty too. Thanks! It's probably one of my favorite JCrew purchases ever! Also, I'm giving away a Naked 2 palette on my blog, you should check it out if you have time! Thank you for the sweet comment! Just followed you! I obviously share a love of sequins, and I COMPLETELY support your decision to wear sequins every time with those jeans haha. You look so great! I found you via Amy at CBBP. So glad she featured you! 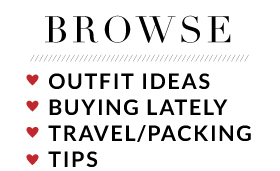 I love your blog, and I'll definitely be following via Bloglovin! I appreciate the support and am following you back! I am now your newest fan & follower. Hope you stop by my blog and support me by following me as well. Thanks. Just gave you a follow back! Thanks again for the mention in the link up recap, and for the super nice comment! I am so happy you participated this week (and because I found your blog this way!). I love that your style is so chic and fun, yet something we could all recreate. Thank you again! That is very sweet - thank you!! And the link up was such a great idea - definitely must do that again!